Jazz Up is a salon that helps you break free. It’s the place to try something new. If there’s anything new you’ve dreamt of doing, we’ll help you do it in a way that’s practical yet fresh. Jazz Up is run by folks who think, feel and act just like you. So we’ve created a space that mirrors your interests. We’d like you to hang out, enjoy the music, leaf through a book and sip an iced tea while we jazz you up. Founded by IIM-Ahmadabad & SPJIMR grads! What differentiates JAZZ UP SALON from the rest? 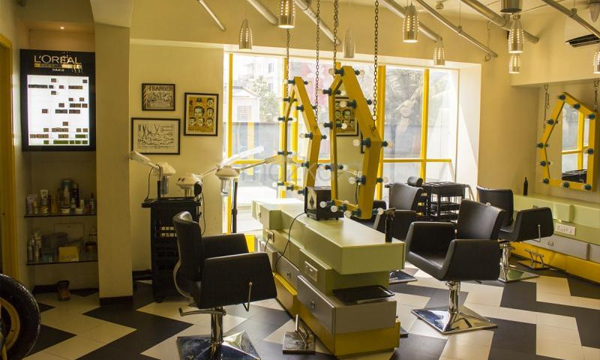 The only place where customers could experiment fearlessly, think out of the box styling and get Jazzed Up. Here the partner will be responsible to invest the required capex in the salon, and also will be responsible to run the business operations, with the company's professional support and guidance. A certain fixed royalty + ST will be paid by the partner to the company. Here the investor will only be responsible to invest in the salon, but the entire business operations will be left on the company. In this model, a certain fixed percentage from cash profits will be shared with the investor. Why take JAZZ UP SALON franchisee? Focus cities - Mumbai, Thane region, Navi Mumbai, Pune, Nasik, Kolhapur, Nagpur and other important cities of Maharashtra.